The HHI, Bhubaneswar ARE YOU A VENDOR? 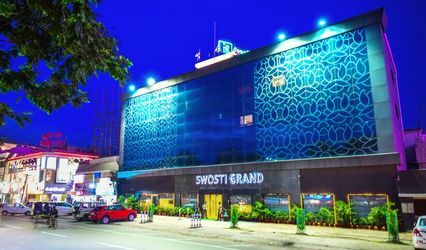 The HHI is a hotel located in the city of Bhubaneswar. Counted amongst the finest business hotels, The HHI can offer you a world of elegance and courteous services to make your experience with them out of the ordinary. 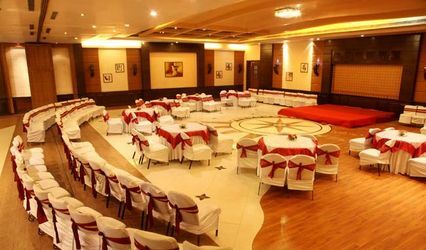 They can be an ideal location for your wedding and all its other related events as well, as they will ensure that you are provided with all the services and facilities that you might need to plan and organize your events comfortably and without any hassle so that your wedding can be a memorable journey which is remembered by all. 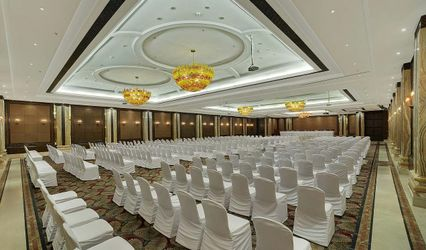 Their banquet hall has the capacity to accommodate up to 800 people at once. They can also offer their lawns, terrace, as well as poolside as their event spaces which you can choose as per your needs and requirements. It provides facilities like basic power, electricity, and backup, valet parking, furniture as well as sound, and music license and alcohol license. They also provide the facility for guest accommodation as well, so that it can be ideal for residential weddings as well. The HHI can offer you all the services and amenities which you might need to plan and host each one of your wedding-related functions without any hassle or stress. Some of the services that they offer are a bridal room, in-house catering, in-house decor as well as service staff which is always present to help in case of any inconvenience. They will ensure that your wedding is one of the best and most memorable events of your life. The HHI can offer a plethora of food options which you can choose from as per your food preferences and choices. Their range of cuisine is combined with courteous and best-in-class services, to ensure that each one of your guests has the best experiences. Their in-house chefs only use the best and finest ingredients to provide nothing but the best to your as well as all of your guests.